Tablet computers or simply tablets are gaining popularity among buyers. But manufacturers offer so many different patterns that the ordinary consumer is very difficult to choose something. They differ tablet computers and what to look for when buying? In size there are 2 types of tablets: big, measuring about 10 inches, and smaller, with a screen size of 7 – 8 inches. Tablets are large in size are considered to be more convenient to work with the text or view web pages. A classic example of such tablet – the IPad. Small tablets, convenient to carry. They can fit in any bag. It is also important the screen resolution. The higher it is, the better the display will show movies, pictures or text. The best models have Full HD resolution – 1920*1080 pixels, depending on the model, this figure could be even higher. There is also a tablet-hybrids. They are very similar to the laptop, but the keyboard is easily detachable. This can be very convenient, especially for those who need to print large amounts of text. All tablets can connect to the Internet via Wi-Fi. But it ties you to a particular place, e.g. a cafe or Park. If you need greater mobility, you need to choose the device, equipped with 3G and 4G communication modules, then you will have the opportunity to use the Internet wherever you are. In such tablets are inserted SIM card and you can even talk on the phone. However, because of the size of the device, it may be not very convenient. Buying the tablet, you can select one of three operating systems: iOS, Windows or Android. Each has its own advantage and limitations. For example, for iOS on iPad, written more than 800,000 apps. Also there are additional services such as the iTunes store, where you can buy movies and music. It is believed that the operating system is iOS the easiest to control. 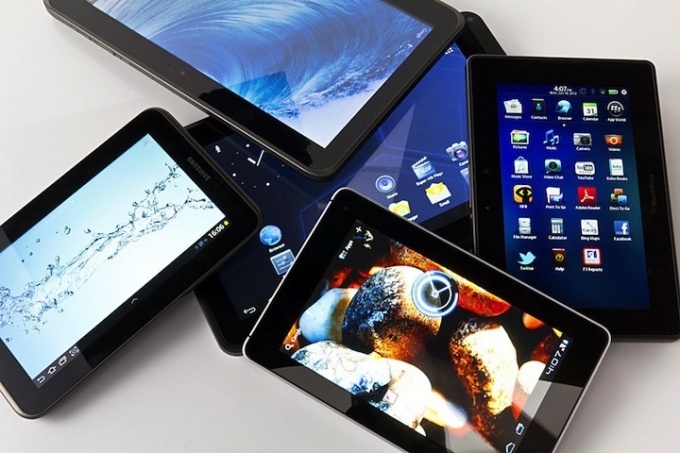 Tablets Android produces several companies. Among them Samsung, Sony, Asus. They also written a large number of applications, and best of all they are compatible with Google services. The third option is a device based on Microsoft Windows. They also make almost all large companies. Applications for such tablets are written less than for iOS or Android, but they are best compatible with Windows and Microsoft Office. These tablets can easily connect almost any external device, such as a keyboard or printer. Many applications released for all systems, so the choice of a system is a matter of personal preference. Choose the one you like best. Budget models differ from expensive not only the screen resolution or the possibility to insert the SIM card, but the performance. It depends on the quality of the electronic filling device. A large amount of RAM, multi-core processor, a separate chip: the more the numbers for these indicators, the better and faster will run the tablet. Also important is the amount of internal memory. The higher it is, the more tablet you can download games, music, movies or programs. In tablets brands Apple can't expand its memory. Most tablets on Windows and Android is possible to install an optional memory card, which will allow you to record more information on the device. Most tablet computers have a built-in camera. Some of them are two: front and back. The main camera on the back is usually better. It with more megapixels and works as a camera phone, i.e. with its help it is possible to do both photos and videos. Often next to this camera is the flash. The front camera mostly used for video calls, e.g. via Skype, so it doesn't necessarily have to shoot with the same quality as the first camera, it does not require a large number of megapixels. To the tablet you can purchase additional accessories: protective case, protective film on the screen, additional keyboard, headphones. The shops have extra chargers, cords, adapters, and many accessories for car holders, adapters, chargers.